Ascot – noun, a specially made necktie or scarf with broad ends, tied and arranged so that the end are laid flat, one across the other. Since opening in 2015, we have been pushing the culture of ascots in every way possible. Whether we are trying to get our ascots on television, maybe get an ascot or two in a publication, or simply posting on social media, we are always trying to introduce our ascots on any available platforms. My generation, millennials, aren’t as informed about ascots as some of the generations before us but it’s okay because my job is to bridge that gap. The one thing that all generations have in common is the ability to make fashion statements and every spring, the love for horses bring those statements right out of people. Ascot – noun, a village in SE Berkshire, England home to annual horse races. 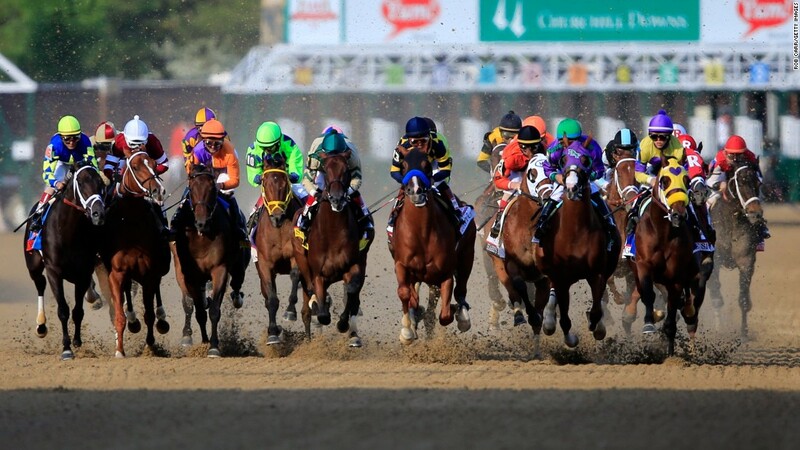 Horse racing biggest events happen starting in March at the Dubai World Cup. It’s a 10 million dollar horse race which is currently the biggest payout in the world to the winner. If you thought 10 million was high, its expected to move up to $20 million in 2018. At the Dubai World Cup, it’s not just about the horses, it’s about the side events and the fashion. In addition to seeing women in big hats and sun dresses, you can expect to see a number of ascots, bow ties, and bright colors. To fuel the fashion, in addition to the many sponsored events, there is even best dressed event that does a cash giveaway. Although the weekend in Dubai is full of events, it’s just appetizers to the Triple Crown. The Triple Crown is something that is rarely accomplished. American Pharoah was the last horse to accomplish the Triple Crown in 2015. To become a triple crown winner, you must win the Kentucky Derby in Louisville, KY…then win the Preakness in Baltimore, Maryland…finally you must then win the Belmont Stakes at the Belmont Racetrack in Queens, NY…just 2 blocks away from 223rd street where we our ascots were first developed. All three events are a great reason for people to dress in sundresses, bright colors, ascots etc. However, out of the three of them, the Kentucky Derby does fashion the best. Looking over the the pictures from the Kentucky Derby two Saturdays ago (5/6/2017), ascot ties, especially some of our ascots, were represented in a big way. So we want to thank all of our customers who made last minute purchases to wear to the Kentucky Derby and Derby themed events across the nation. If you missed out on the Derby, you still have an opportunity to make it to the other two events and even a bonus event, the Veuve Clicquot Polo Classic. The VC Polo Classic is another event based around fashion and horse and will be discussed next time we meet.